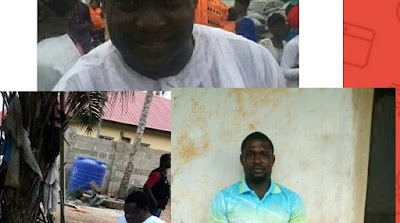 An alleged notorious killer, Adeola Williams, alias Ade Lawyer, has been arrested by operatives of the Inspector-General of Police’ (IGP) Intelligence Response Team (IRT). The suspect, said to be responsible for the death of a member of the National Union of Road Transport Workers (NURTW), Ganiyu Ayinla, at Lagos Island on January 23, was arrested on Wednesday. He was nabbed in Akure, Ondo State. According to the police, Ade Lawyer had been on its wanted list for over five years following his involvement in several assassinations in the South West. Arrested alongside Ade Lawyer was a former NURTW boss, Rafiu Akanni alias Olorunwa, who allegedly contracted the former to kill his rival, Azeez Lawal. Police said Ade Lawyer confessed that he was paid N500,000 to execute the job. He, however, missed the target and killed Lawal’s personal assistant, Ayinla. Police said Lawal miraculously escaped the assassination attempt on him with bullet wounds. The police said: “He claimed that Akanni refused to give them the N1, 000,000 balance because they killed the personal assistant of the man he sent them to eliminate. “Hence, Adeola Williams aka Ade Lawyer traced the driver of Olorunwa and confiscated his Black Hyundai jeep from the driver and called the owner that they will release his Jeep after he paid them their one million naira balance. “He said they needed to run and hide until the heat subsided since two of his accomplices had been arrested by the police. “He confessed that Mr. Olorunwa has been calling him to be very careful and that he should hide very well because his members have been arrested. “He also mentioned many other victims he assassinated in the past which included Hamburger, a union chairman in Oshodi, Babajide Dosumu aka Mados in Ebute Meta, Salawe in Ajah, Ganiyu Asaro and four others in Badore where he said he spread bullets in their car and killed the five occupants. Photos from the white wedding of Vice President Yemi Osinbajo’s daughter Damilola to Seun, son of Billionaire, Shagaya!